Nestled along the compact but lovely street of Persiaran Ampang, The Daily Grind Ampang takes the cake as the place to go for burgers. Little did we know, their new menu also includes a pleasant number of comfort food specialties. One sunny afternoon, we brought our hearts and appetites to sample their piping hot new menu. Settling ourselves down at a table nearest the greenery area with a skylight, we got down to our munching business. Wanting to start with something light and fresh, we had the Habibi Salad (RM25). 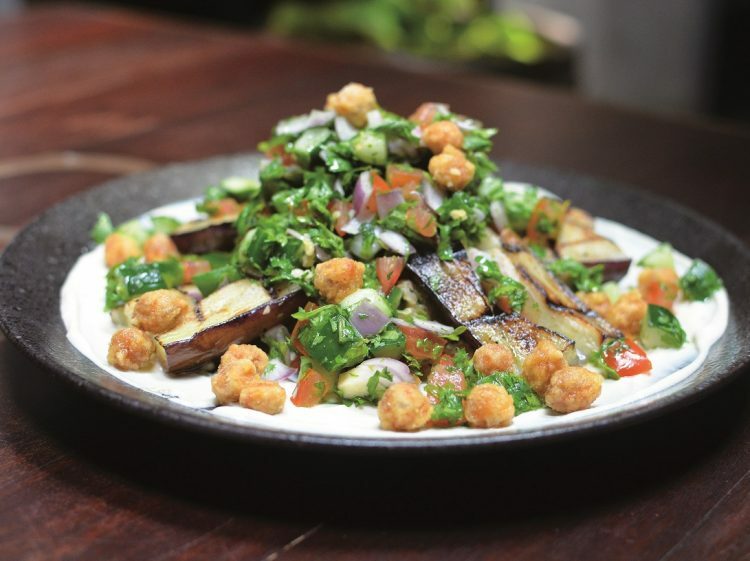 It was a tasty combination of grilled aubergine drizzled with tahini yoghurt on a zesty and crisp salad of diced tomatoes, cucumber, onions, parsley, coriander, cauliflower, and crispy chickpeas. The star components were the cauliflower incorporated in the form of ‘rice’, and the lightly salted, crunchy fried chickpeas. Next up was a delightful, warm broth of Blue mussels and clams (RM25). It was seasoned just right, and the toasted baguette that came with it disappeared swiftly as we soaked up the remainder of the liquid and devoured it. Super awesome like its name, the Super awesome bowl (RM28) is hands down our favourite non-burger dish. 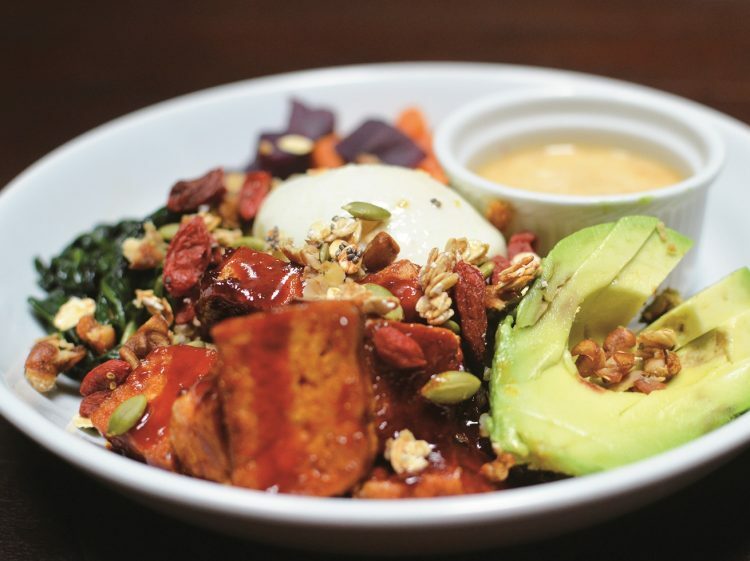 It is a power bowl of quinoa, chili-glazed tofu, tempeh, spinach, seeds, goji berries, and avocado served with a poached egg and tahini dressing. Wonderfully flavourful, we loved the variety of textures and knowing that the ingredients were all on the healthy side just added that much more joy. 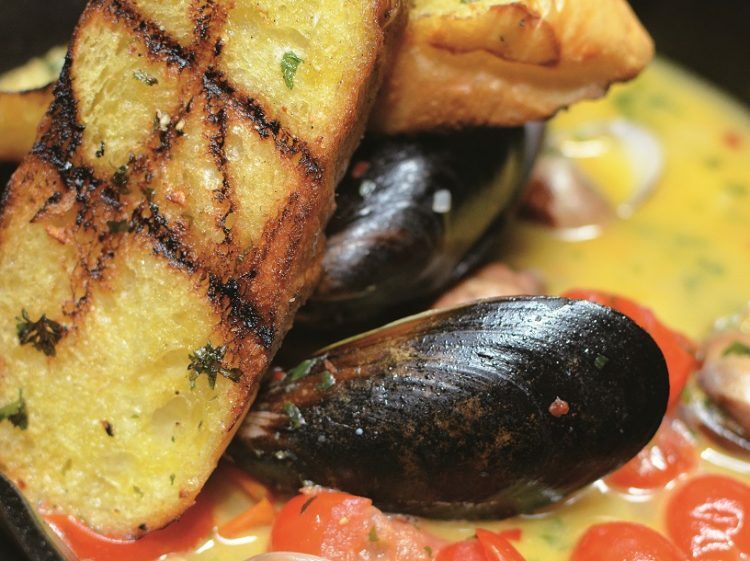 Definitely try this dish if you visit the restaurant! Moving on to the burgers, we had the Sloppy Joe (RM33) first. What arrived was a slightly neater version of a typical sloppy joe – two burger buns with a sautéed beef patty in barbecue sauce, melted cheddar, and skinny onion rings. If you’re craving a wet, sloppy mess, this might not exactly fit the bill, though we have to say this was a lot easier to chow down on! 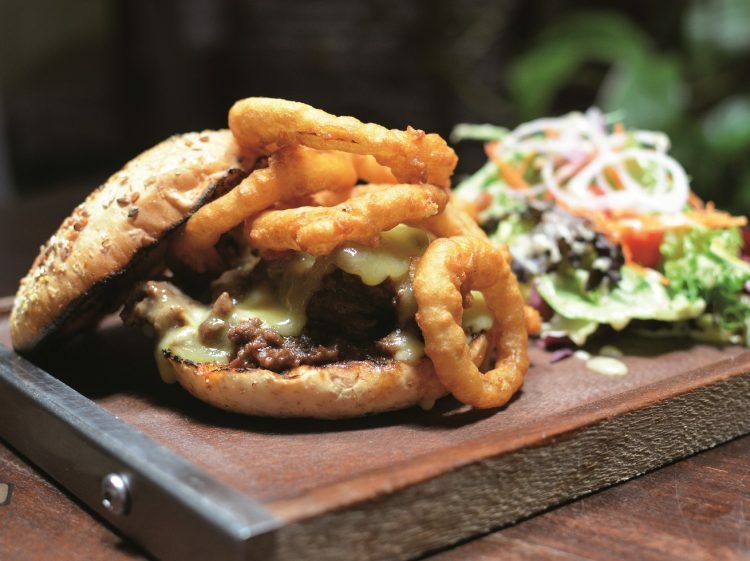 All the right flavours were there – the satisfying beefy taste, cheesiness from the cheddar, and the skinny onion rings that were yummy yet less sinful. For those who prefer chicken to beef and have an affinity towards mushrooms, go for the Mushroom trio burger (RM33). A sight to behold, we began enjoying the dish even before putting any of it into our mouths. 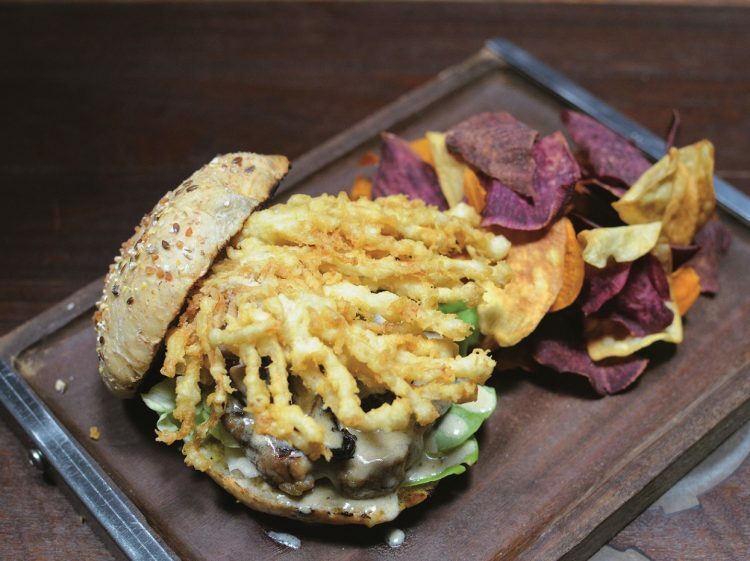 Made of a chicken patty, the burger also contained crispy deep-fried enoki mushrooms, creamy sautéed button mushrooms, and grilled Portobello mushrooms. While the chicken patty wasn’t as juicy as we’d have liked, the mushroom trio more than made up for it. Golden brown and crunchy, the deep-fried enoki mushrooms made it incredibly satisfying to chomp down on the burger as a whole. In general, all the burger patties at The Daily Grind Ampang are made in-house, so you know you’re getting the good stuff. Sighing in happiness, we prepared our figurative second stomach for dessert. The children in us were already eyeing the cakes as we were walking in, so of course we had to try them. One that’s sure to delight is the Cookie Monster cake (RM15 per slice). 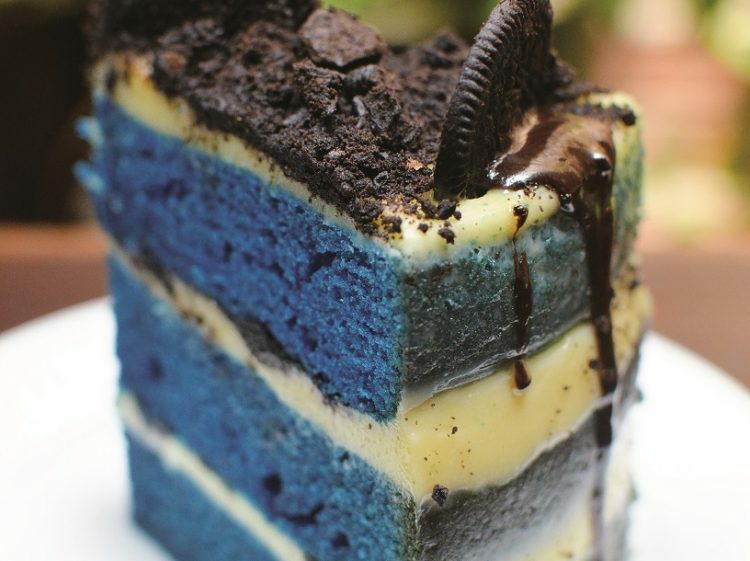 It was a delicious blue-coloured butter cake made with Oreo crumbles and layers of cream in between. We also had the Snickers cake (RM10 per slice) which tasted exactly like what you’d expect from its namesake. It was a little slice of peanut butter heaven with layers of chocolate cake, chocolate fudge, and peanut butter cream topped with chopped peanuts. 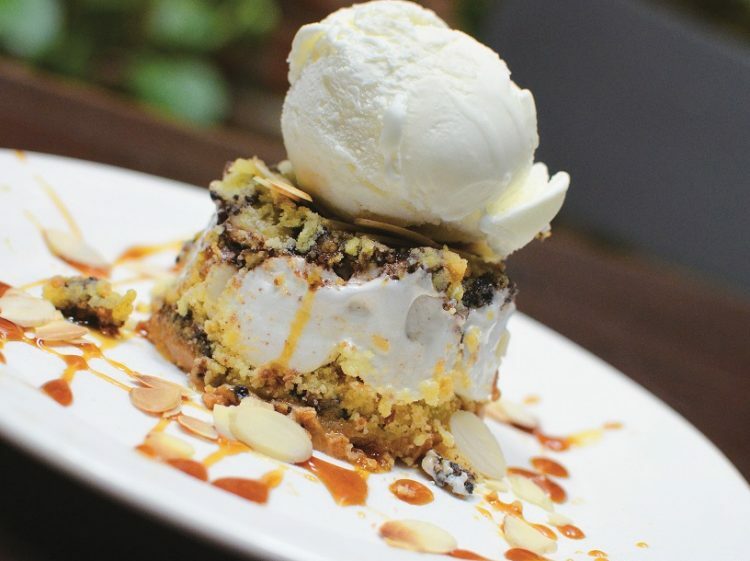 And then there was the Coco goes nuts (RM18) – a symphony of layered coconut cookie crumbs, chocolate sauce, marshmallow, peanut butter, and ice cream. Coconut-y, sweet, and also with a significant peanut butter flavour, we liked how the marshmallow held everything together before they fell apart on our tongues. The desserts are all good for sharing, unless you have a penchant for something specific like peanut butter. If so, you might want to consider having the Coco goes nuts or the Snickers cake slice all to yourself. Cozy and intimate, The Daily Grind Ampang is a comfortable place to have a good meal whether on weekdays or for a longer weekend brunch. 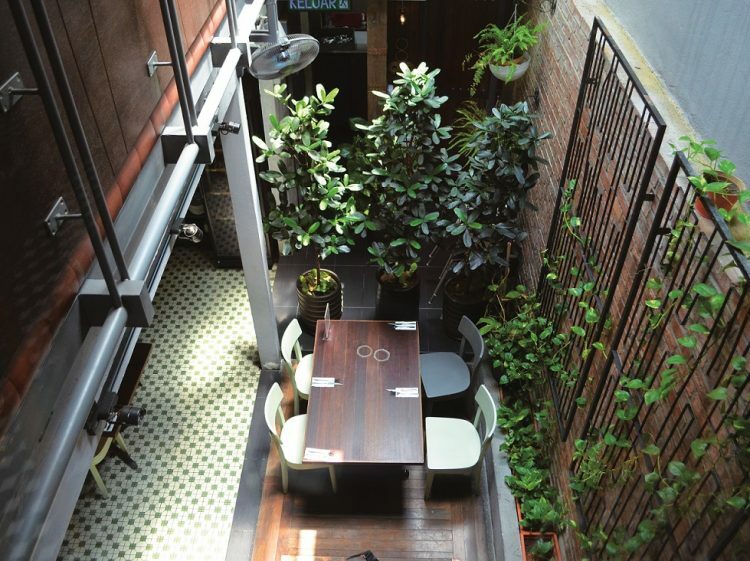 They also have a whole other floor upstairs with more seats and which can hold a function for up to 60 persons. Address: 26, Persiaran Ampang, Desa Pahlawan, 55000 Kuala Lumpur. Hours: 10am – 10pm on Mondays to Fridays, 9am – 10pm on Saturdays and Sundays. 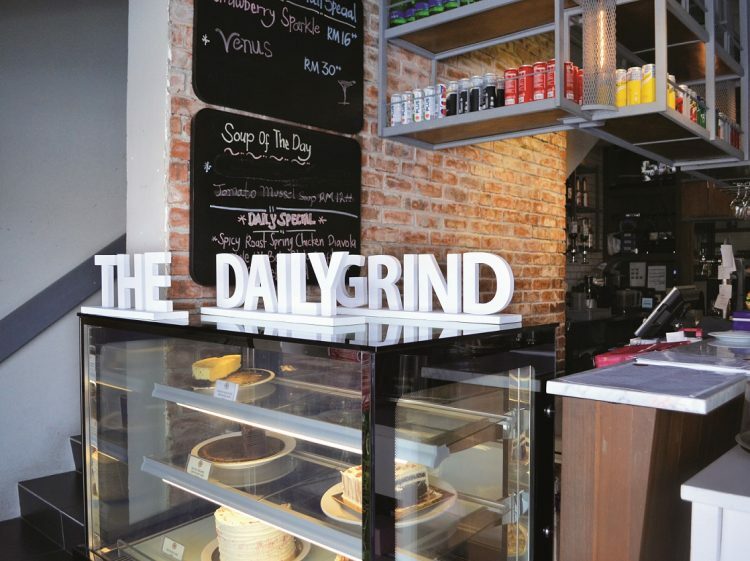 Find: View directory for The Daily Grind (Ampang) here.